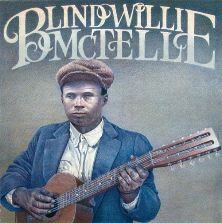 "Blind Willie McTell" is a song by Bob Dylan, titled after the blues singer Blind Willie McTell. It was recorded in 1983 but left off Dylan's album Infidels and officially released in 1991 on the The Bootleg Series Volumes 1-3 (Rare & Unreleased) 1961-1991. The melody is loosely based on "St. James Infirmary Blues". For the song, Dylan, seated at the piano and accompanied by Mark Knopfler on the acoustic guitar, sings a series of plaintive, heartbreaking verses depicting allegorical scenes which reflect on the history of American music and slavery. Each verse ends with the same negative refrain: "Nobody can sing the blues like Blind Willie McTell." Following three albums with overt Christian themes, Infidels struck most major rock critics (perhaps erroneously) as dealing largely with secular concerns, and they therefore hailed it as a comeback. Yet contrasted with Dylan's contemporary live performances, the studio album seemed flat and stagnant to many fans. 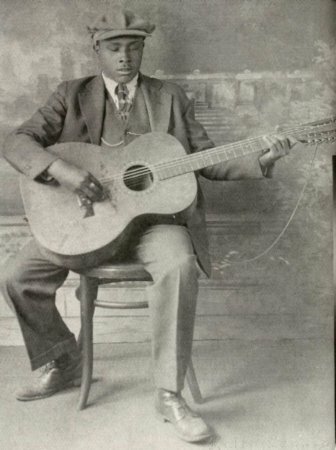 "Blind Willie McTell" confounds the story further. When bootleggers released the outtakes from Infidels, the song was recognized as a composition approaching the quality of such classics as "Tangled Up In Blue", "Like a Rolling Stone" and "All Along the Watchtower". 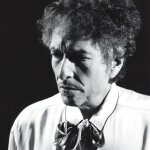 It is unclear why Dylan shelved "Blind Willie McTell" and several other famous outtakes from Infidels in favor of the inferior songs released on the LP. Unfortunately, it seemed to set the precedent for much of the remainder of his recording career in the 1980s. William Samuel McTell, better known as Blind Willie McTell (May 5, 1901 – August 15, 1959), was an influential American blues singer, songwriter, and guitarist. He was a twelve-string finger picking guitarist, and recorded from 1927 to 1955. Born in Thomson, Georgia, blind in one eye, McTell had lost his remaining vision by late childhood, but became an adept reader of Braille. He showed an inherent proficiency in music from an early age and learned to play the six-string guitar as soon as he could. His father left the family when McTell was still young, so when his mother died in the 1920s, he left his hometown and became a wandering busker. He began his recording career in 1927 for Victor Records in Atlanta. In the years before World War II, he traveled and performed widely, recording for a number of labels under a variety of names. His style was singular: a form of country blues, bridging the gap between the raw blues of the Mississippi Delta and the more refined East Coast sound. The style is well documented on John Lomax's 1940 recordings of McTell for the Library of Congress. In 1934, he married his wife Ruth Kate Williams (now better known as Kate McTell). She accompanied him on stage and on several recordings, before becoming a nurse in 1939. Most of their marriage from 1942 until his death was spent apart, with her living in Fort Gordon near Augusta, and him working around Atlanta. Post-war, he recorded for Atlantic Records and for Regal Records, but these recordings met with less commercial success than his previous works. He continued to perform live in Atlanta, but his continued career was cut short by ill health, predominantly diabetes. A record store manager, Ed Rhoades, met McTell in 1956 and captured a few final performances on a tape recorder. These were later released on Prestige/Bluesville Records as Blind Willie McTell's Last Session. McTell died in Milledgeville, Georgia of a stroke in 1959. A blues festival in McTell's honor is held annually in his birthplace, Thomson, Georgia. One of his most famous songs, "Statesboro Blues", has been covered by artists such as Taj Mahal and The Allman Brothers Band. Jack White of The White Stripes considers McTell an influence (their 2000 album De Stijl was dedicated to him and featured a cover of his song "Your Southern Can Is Mine"), as did Kurt Cobain of Nirvana. Bob Dylan has paid tribute to McTell on three occasions: first in "Blind Willie McTell" (recorded in 1983, released on The Bootleg Series Volumes 1-3 in 1991), then with a cover of McTell's "Broke Down Engine" on his 1993 album World Gone Wrong. In his song "Po'Boy", off the 2003 album Love & Theft, Dylan again paid homage to McTell by appropriating the line "had to go to Florida dodging them Georgia laws" directly from the latter's "Kill It Kid".